Matthew Martin Lee Carpenter is an American professional baseball infielder for the St. Louis Cardinals of Major League Baseball (MLB). 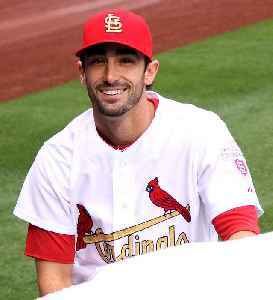 He made his MLB debut with the Cardinals on June 4, 2011. He has been their primary leadoff hitter since early in the 2013 season. A left-handed batter and right-handed thrower, Carpenter stands 6 feet 3 inches (1.91 m) and weighs 205 pounds (93 kg). Marcell Ozuna hit two home runs and Matt Carpenter connected for a tiebreaking drive in the seventh inning that sent the St. Louis Cardinals over the Cincinnati Reds 9-5 for a split of their two-game..